Each year in July, on a Saturday afternoon, the High Country West Club puts on a fantastic summer picnic for its residents and their guests. The fun includes food, beverages, games, and a variety of activities. This is probably the best attended event during the entire year. Also, there are community groups such as RB Neighborhood Watch and the RSVP providing information and community services. This year's picnic was on July 19, 2008. 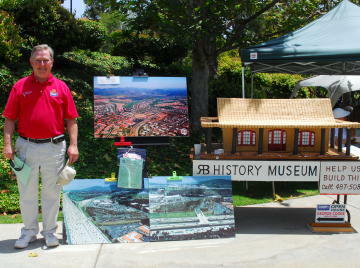 (Photo courtesy of Fedelie) Here is George Cooke at the HCW Summer Picnic in 2007 with a display showing the planned Rancho Bernardo History Museum to be built at the Bernardo Winery. Also on display are some aerial photos showing a historical view of Rancho Bernardo and the future plans for the RB Transit Cetner. Concert on the Green August 16, 2008 - Order your tickets online. Click here for the website RBHistoricalSociety.org. 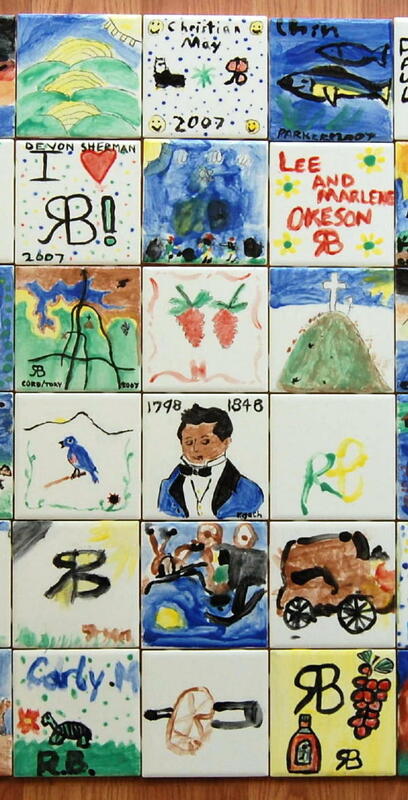 At this year's picnic, George has displays showing the Tiles for the new RB History Museum that were painted by High Country West residents last year. 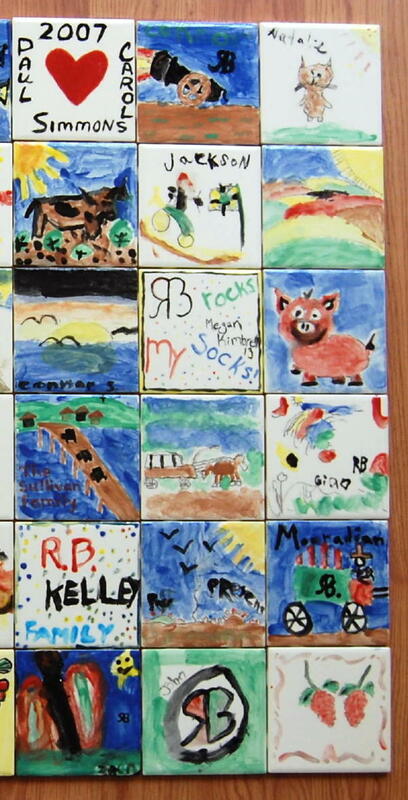 For more information about the Tile Painting Event click here. 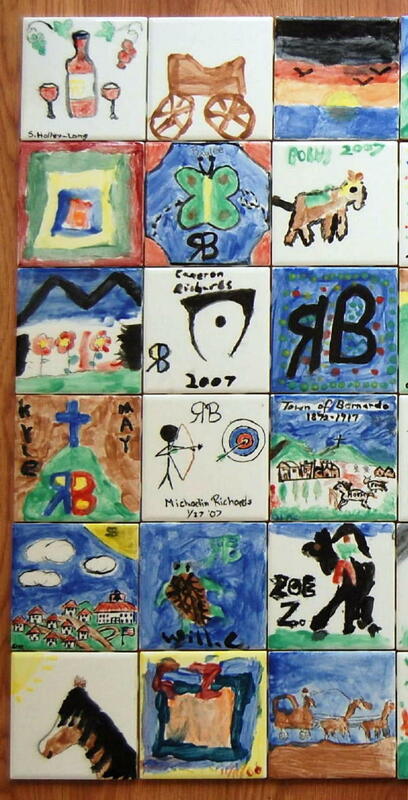 And, a display of the October 2007 Firestorm. Aerial map by SanGIS - Rancho Bernardo Firestorm 2007. 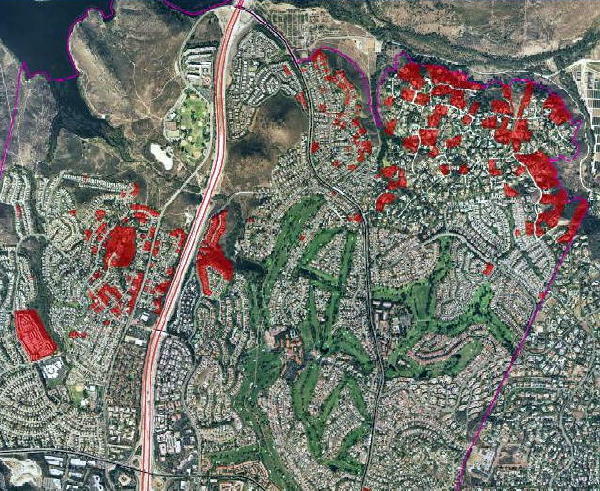 Red areas are fire damaged parcels. Rancho Bernardo Neighborhood Watch has a new website. Click here to visit RBNeighborhoodWatch.com. And, click here for High Country West Neighborhood Watch. Computer simulated photos were on display showing the new direct access ramps into the planned RB Transit Center. 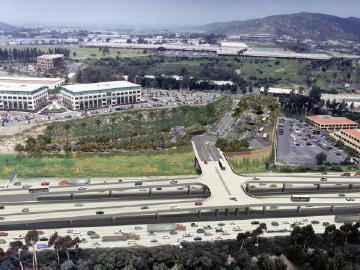 The ramps will be open in September, 2008, and the actual Rancho Bernardo rapid transit center (BRT) is expected to be completed within a few years. Click here for more detailed information about the I-15 Managed Lanes Project. 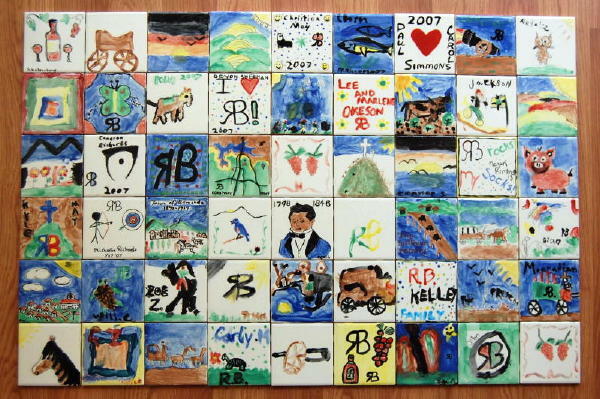 This year's High Country West Picnic was a big success on Saturday, July 19, 2008. Nearly 450 residents attended and everyone seemed to have a great time. Scroll down to enjoy some photographs of the event. With beautiful warm summer weather, there was no shortage of volunteers for the dunk tank. The registration table provided food tickets and Neighborhood Watch introductions. HCW Manager, Mike Lutz, brings in the wagon. RSVP volunteers come every year to provide safety finger printing services. Karen Bigios kept busy all afternoon helping with the operations. Rancho Bernardo is home to San Diego's premier RSVP Program. This year's picnic had a Pirates of the Carribean theme. The Pirate's birds were a big hit. Galen Peterson enjoys the tasty food. Those who missed the registration table on the way in, soon returned for their food tickets. The Clown is making baloons. The Jumper is always a dynamic attraction. Closing in on the food line. Trading food tickets for plates and rolls. This is where it all begins -- the BBQ staff is fired up. The ever popular adult beverages. Picking out the best condiments. Another great day to be in the pool. More swashbuckling ... on the pool deck. 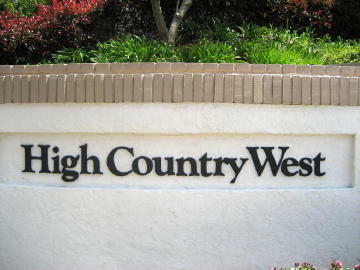 Are you interested in more information about High Country West? 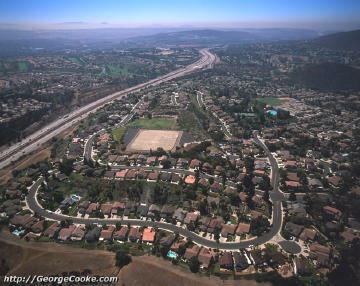 Are you interested in other communities in Rancho Bernardo? For more information about High Country West, Rancho Bernardo, or other popular San Diego communities, including housing opportunities, please call me, George Cooke at (858) 674-1222. Or send an email to George@GeorgeCooke.com.